Mindscape in Words: A Year Since Kashmir. After sharing the experience of my Kerala visit, I have developed an interest in travel writing. I may not have climbed mountains or jumped from a plane. But in my opinion, travel is something different for every individual. For me, it lies in the beauty of a place. Last year, I visited Kashmir and within it lies the most effusive natural beauty and solitude. It is that feeling which I had when I stood at 15000 feet that made me write this post. Dedicated to the place I will always treasure. The heat here in Mumbai, just reminds me of all the snow-clad mountains over a wide range that spread through the Himalayan range. We visited three places; Sonmarg, Chandanwadi and Gulmarg to enjoy the most of snow. 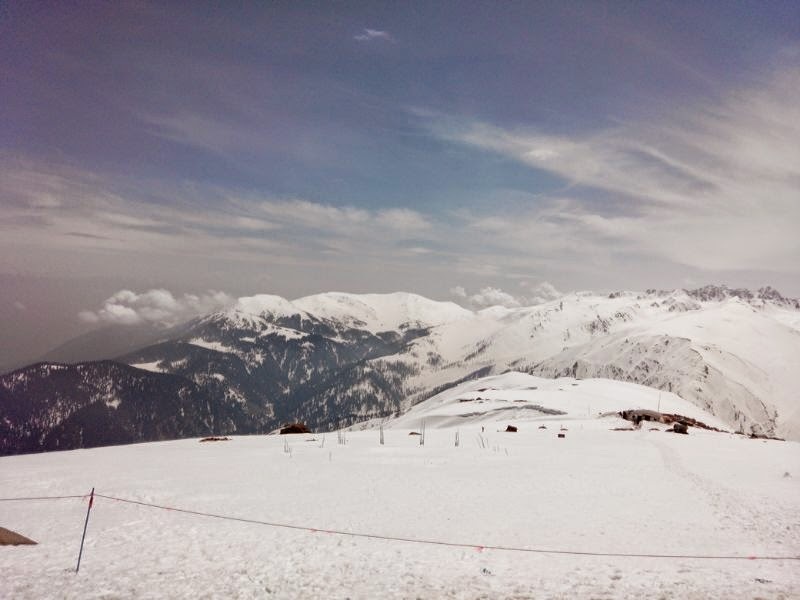 My favorite was unquestionably Gulmarg. The amount of excitement was so much that I just couldn't wait until I was way above the normal altitude and in the midst of all the clouds. The moment we reached on the third and the highest level, I was stunned by the beauty that was Kashmir. I just stood there open-mouthed staring at the place which was so unique in its own way. It had some sort of magic which had me bewitched at the first glance. There was nothing but snow and clouds. We could see the city far away from where we stood. But mostly it was all white, snow draped over all the mountains. It was cold but somehow I couldn't feel it because of the adrenaline and anxiety that was pumped up within me. At that moment, nothing else mattered. My mind was fully in that place, in real time and I was busy taking it all in. We could see the shadow of the white clouds upon the white snow and it felt unbelievable to envision such beauty. Even though there was the partition rope between two countries right in front of us, the place symbolized peace. It was a place where a person can be when he was fed up with all the people down there. It was a place for meditation and concentration. I would have loved to stay there pondering and thinking about all of the mysteries of life and nature. It was a marvelous place which penetrated hope and life. I had seen nothing quite like it and it became the closest most favorite place near my heart. 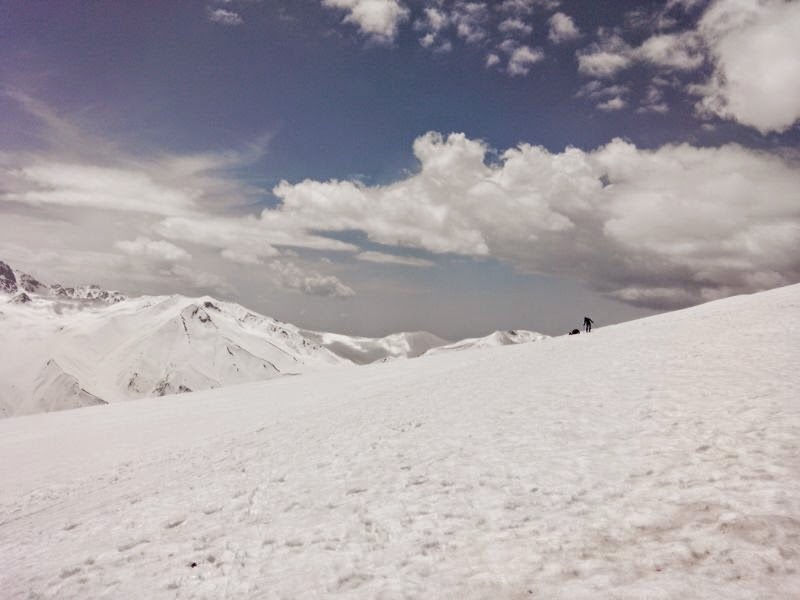 I clicked around 100 photos of Gulmarg alone, among which these are some of the best ones. The magnificent view from 15000 feet. The shadow of the clouds upon the snow clad mountains. Today, even after one year, as I close my eyes, I recollect all the memories, thrill, amazement and pleasure I had when I was at Gulmarg. Kashmir reminds me off the peace and serenity that lies in its beauty, the lotus flowers, the snow clad mountains , the greenery and all the gardens with colorful flowers that elevate our minds and soul. 9 Things I'm Doing This Summer.